Turkey expects to lose 4.5 million tourists from Russia this year, as tourism has been badly hit by the Russian crisis and regional uncertainties, said the Turkish Culture and Tourism Minister Mahir Unal. The number of Russian visitors declined by 18 percent to 3.6 million in the first eleven months last year compared to the same period of 2014. The number of total foreign arrivals dropped by 1.4 percent in the same period, according to the data revealed by the Tourism Ministry last month. Russia’s travel agencies canceled Turkish packages after Moscow introduced sanctions against Ankara following the downing of a Russian warplane in Syria. The measures targeted the Turkish tourism industry and exports to Russia. Russia represented the second largest source of tourists for Turkey after Germany. The minister hopes to recover the losses in the Russian market with the planned EXPO in Antalya between April and October this year. Principal Turkish tourism players will focus on the Chinese and Indian markets in the medium-term to overcome the potential losses linked to the current diplomatic crisis. The tourism associations are concerned 2016 will be a difficult year. The tourism industry accounts for 11 percent of Turkey's GDP, or $170 billion. 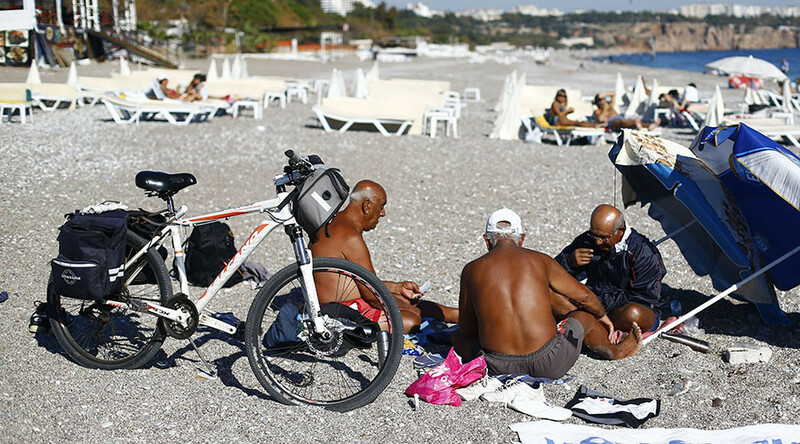 The loss of Russian tourism could cost Turkey about $7 billion a year, according to analysts.